Bev is a Self Esteem Engineer who is passionate about helping others achieve Self Mastery and Communication that empowers them in their business, life and relationships. Bev has an honours degree in Optometry and enjoys her profession, in which she successfully managed practices for over fifteen years before settling into her own practice in Morningside, Johannesburg. 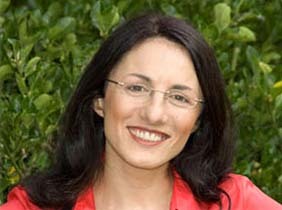 She is a dedicated clinician with a special interest, and over 20 years experience, in eye-strain and headache management; including Computer Vision Syndrome. She also enjoys working with children. Bev is playful with them and specialised in meeting their optical needs. She recommends annual examinations from as young as age 3 and for parents who are concerned before then, an assessment by an Eye Doctor first. Bev's energy is also devoted to focusing on developing the vision others can have for realizing their own potential. She is a dynamic, entertaining and engaging speaker who inspires people to look at themselves objectively, an effective and experienced workshop facilitator and a patient and dedicated relationship mentor, both privately and in business. She uses profiling tools to assist her in providing the most significant input for people who use her services and with her extensive specialised focus on Self Esteem and how to assess it, effect it and develop it again, Bev works magic with her clients individually, in relationships or in groups. She takes an objective approach in facilitating self awareness and a deeper understanding of themselves, their challenges and their strengths. Many of her clients claim that working with Bev is, 'a life changing experience'. Bev says she has journeyed on her knees to the centre of her being and lives guided by her intuition and determination to be the bettering version of herself, everyday.